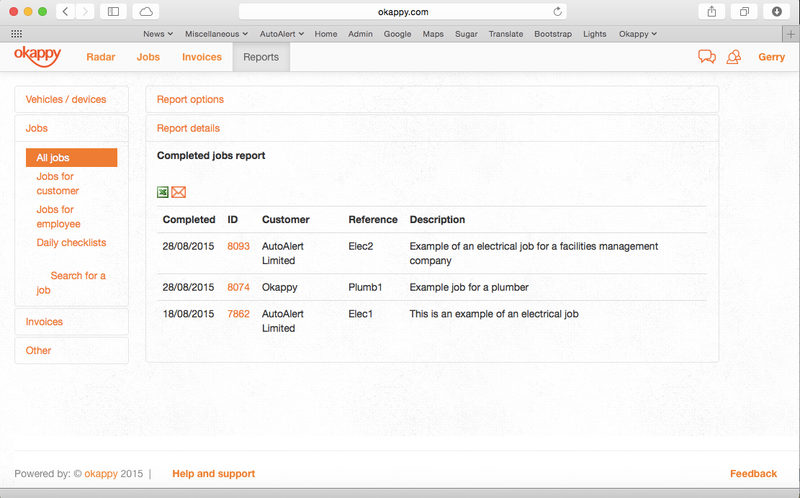 With Okappy, you can easily generate reports to see what All Completed Jobs over a given time period. To view all completed jobs over a period, select Reports, Jobs and then All Jobs. You can then select the time period to view all completed jobs. 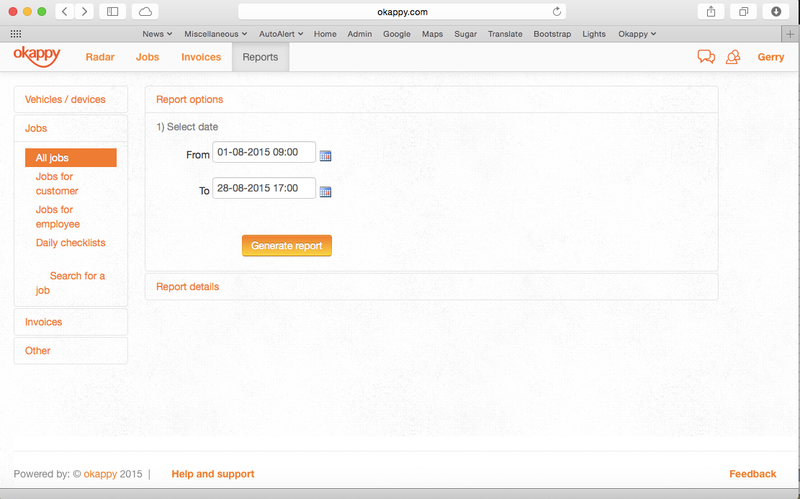 Then click Generate Report which enables you to view the report on the screen. You can also export it to Excel ( ) or Email ( ) to a recipient.